Our newest release is a softcover trade re-issue of the original hardcover version which has been sold out and out of print now for more than two years. Meticulously researched by Gary Lynch during the last 15 years of Blake’s life, and written by Lynch and Malcolm Gault-Williams, the book has continued to generate interest and inquiries. Not really surprising perhaps, given what an innovator and pioneer Blake was in surfing during the early- to mid-20th century. From his friendship with Duke Kahanamoku, to his work on lighter, hollow boards, his experiments with the first surfboard fin and attempts at sailboarding, this book is a must-have item for anyone fascinated by surfing’s roots and history. And this softcover issue makes it a very affordable addition to every library or bookshelf. In surfing there are a handful of pioneers who stand out as giants for their contributions to the development and evolution of the sport. In the first half of the 20th century there are two who stand out even among the giants — Duke Paoa Kahanamoku, certainly, and after him, Thomas Edward Blake. Almost anyone who enjoys the ocean unknowingly benefits from the life of Tom Blake. An accomplished competitive swimmer and paddleboarder, Blake’s technical innovations encompassed such diverse areas as lifeguarding and rescue equipment, and the design and manufacturing of surfboards, paddleboards and sailboards. He engaged in historical research and restoration of traditional Hawaiian surfing equipment at a time when there was little recognition of surfing’s importance in pre-contact Hawaiian culture. 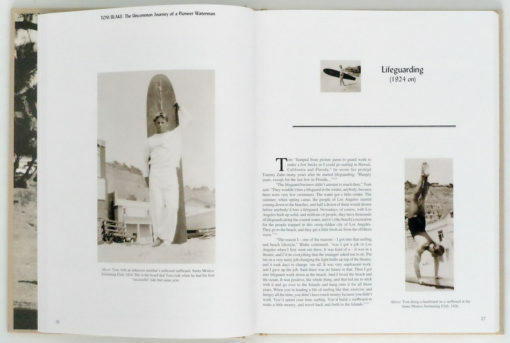 He was a pioneer in surf photography and publishing. 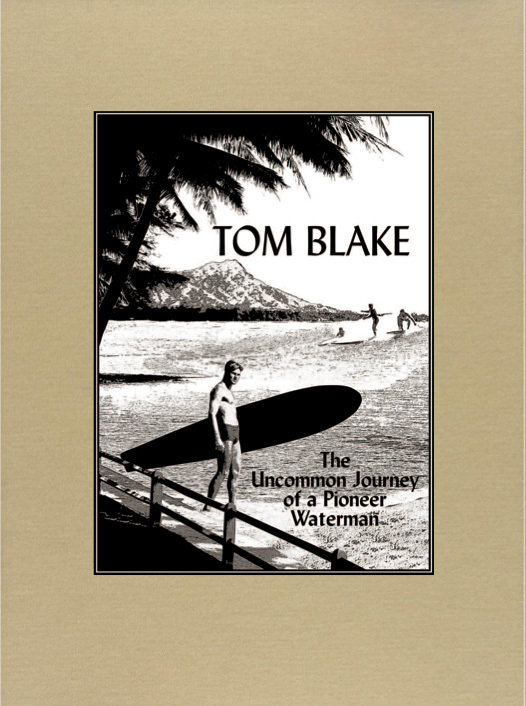 Few surfers had more influence on 20th century surfing than Tom Blake. In fact, it can be argued that he was the originator of the surfing lifestyle many people around the world enjoy and appreciate today. Significantly, his innovations and applications related to ocean rescue helped save many lives, and various contemporary forms of his novel ideas are still in use today. Blake’s lifelong “journey” in surfing began with a most unusual coincidence. Born in 1902 at Milwaukee, Wisconsin, when Blake was just 18 he met Duke Kahanamoku—now acknowledged as the father of modern surfing—in Detroit. The internationally renowned Olympic swimmer was on his way back home after winning a gold medal in Antwerp, Belgium, and was the star attraction at a local theater that was showing a newsreel film about the games. Blake introduced himself to the Hawaiian in the theater’s lobby and a friendship began that, with Kahanamoku’s inspiration and encouragement, led to Blake moving first to the California coast and then to Hawaii. 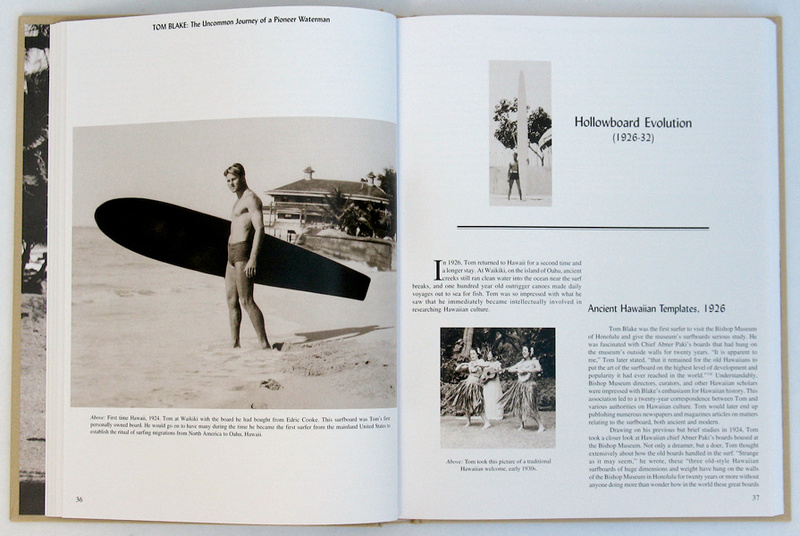 Along the way, like his mentor Kahanamoku, he became a lifeguard, surfer and part-time Hollywood actor. Blake’s list of “firsts” is too long to summarize here. 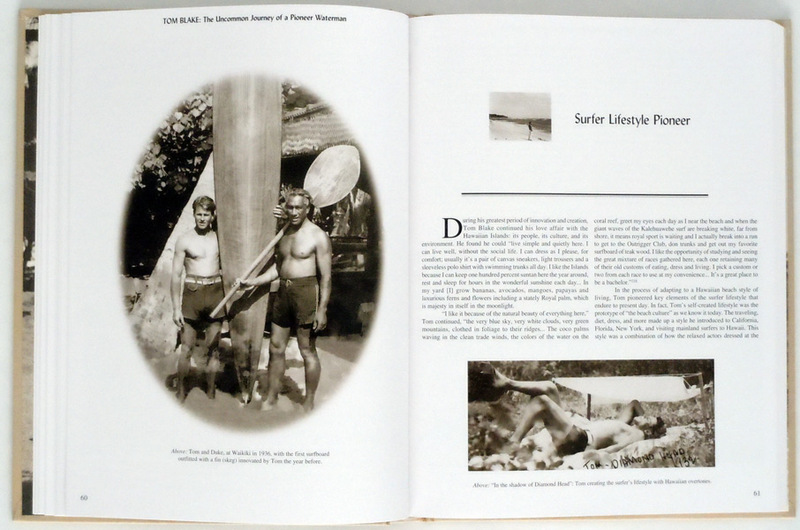 He became a record-breaking swimmer and paddleboard racer. He designed, built and patented the first lightweight, hollow surfboards and paddleboards. 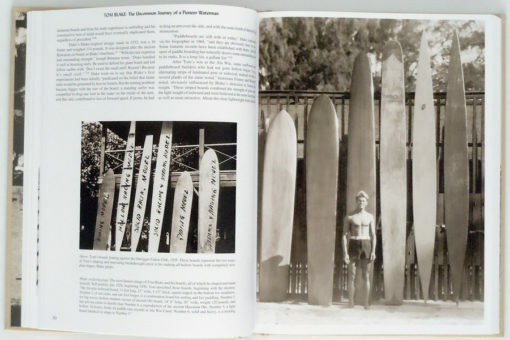 He was the first to place a stabilizing fin on a surfboard. He built the first waterproof camera housing to take close up photographs of surfers in action, some of which were published in National Geographic magazine. He invented and marketed the first aluminum rescue torpedoes and life-saving rings. He was also, it is believed, the first surfer to ride waves at the internationally renowned California surf spot, Malibu. All this, and more, he did in the years prior to World War II, when surfing was still the obscure pursuit of perhaps a few hundred aficionados, mostly in Hawaii and on the West Coast. In Blake there was no separation between religion, surfing, swimming, building surfboards, eating and exercise. No one guessed that what was then an unorthodox lifestyle would become an accepted standard in our time. Gary Lynch has been a building contractor, surf historian, author, paramedic, photographer and musician, among other things. Throughout it all, he has surfed. 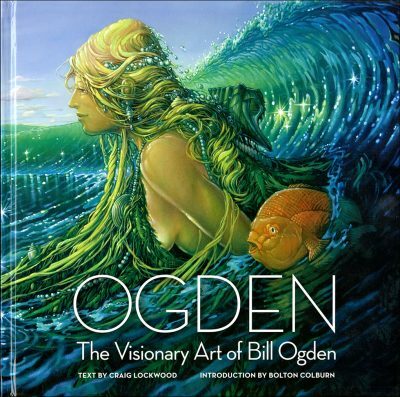 Born in Whittier, California in 1948, he began surfing in the 8th grade, mostly at Trestles and Dana Point, escaping the SoCal crowds with regular forays into Baja. These days he lives on a small farm in Cambria. Lynch’s interest in surfing’s history runs deep. 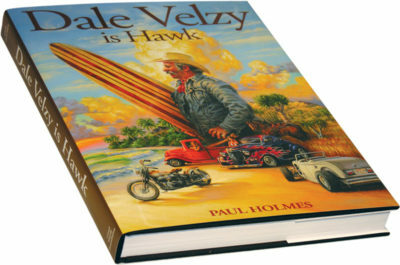 Over the years he met and got to know such seminal surfers as Doc Ball, Don James, Mary Ann Morrissey and Tom Zahn. These men and women inspired his desire to capture their history, published as photos and articles in numerous magazines. 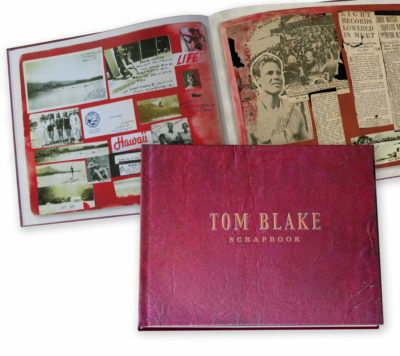 The biography of Tom Blake was the result of Lynch’s fifteen years of painstaking research and many interviews with Tom Blake and others who knew him.